Argent Associates Procurement Options Closely Time Inventory to Actual Usage Requirements. Are you paying for assets that will not be installed for some time? Is your inflated inventory decreasing your bottom line? Argent Associates is helping energy/utility companies optimize their supply chain through Inventory On Demand (IOD) management process.Argent Associates offer its clients a number of ways to better match their inventory and parts need with the actual installation and/or usage of the suppliers. Consignment Procurement– is designed for industries with large purchase, critical pieces of equipment (generators in the utility business) and large lead times to utilization. The utility cannot or would prefer to take control of the equipment or have it on their books until absolutely needed. Argent works with the supplier, purchases and takes ownership of the inventory and supplies it to you when its ready for installation. In this situation, consignment inventory allows the supplier to provide a higher service level (by having the parts immediately available) and saves expedited freight costs, This is an ideal solution for energy and construction companies. 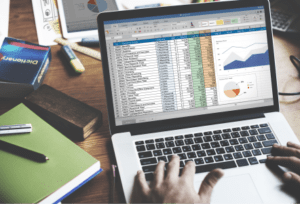 Tailspend Management– for all those items not actively managed, but that may make up a large part of your overall spend, Argent helps manage these goods with visibility into purchases and utilization. This allows for reduced procurement operations costs, increased spend under management and improved purchasing experiences for end users. Our approach is to utilize our proprietary tools and leverage our strategic sourcing experience to deliver sustainable results and savings. 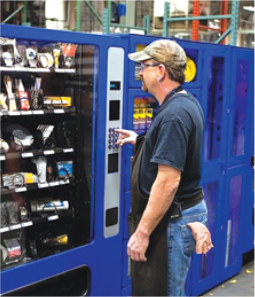 Parts Vending – One way to effectively track purchases and usage on small parts, especially in a warehouse environment, is to place them in an on-site vending machine. Your company’s productivity depends on having the right supplies for the right people, at the right time. One stock-out of a critical part or component can shut down production and idle dozens of workers, leading to missed delivery deadlines. Our vending machines are a smart and foolproof method to keep necessary parts in stock 24/7. When items are low, the vending machine sends an alert to Argent to restock and/or order more materials. Copyright 2018 Argent Associates Inc. All Rights Reserved.